Startups in the Southeast Asia are growing at a healthy rate, as more and more entrepreneurs along with investors are creating a robust ecosystem. 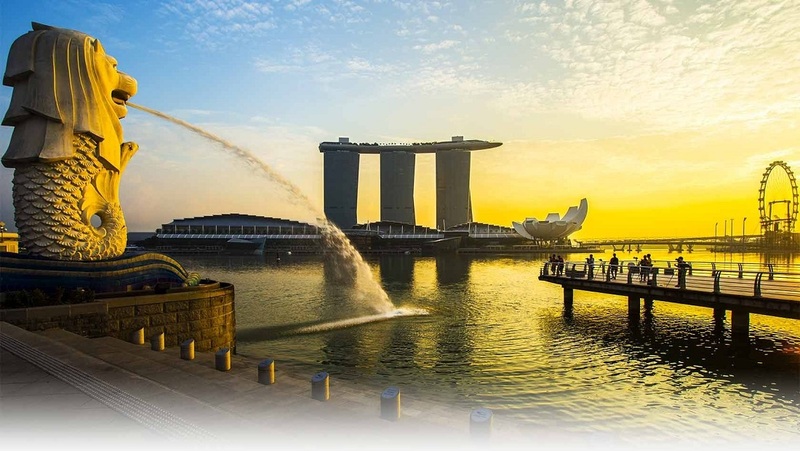 Singapore is undoubtedly one of the most prominent places when it comes to startup scene in the SEA region. In order to get more insights on the startup ecosystem of Singapore we got in touch with Hugh Mason (Co-founder & CEO, JFDI – Joyful Frog Digital Incubator), Jeffrey Paine (Founding Partner, Golden Gate Ventures) and Menka Sajnani (Corporate Development at Jungle Ventures). Before we go ahead, let us first introduce you to JFDI, Golden Gate Ventures and Jungle Ventures. Established in Singapore by Hugh Mason and Meng Wong in 2010, JFDI creates and invests in new digital ventures, building them systematically from startup to success. JFDI is best known for its Accelerate program, which has until now launched 70 startups with around 50% of the startups securing follow-on investment of more than S$500,000. Jungle Ventures is a Singapore based venture capital firm with a focus on early stage investments in the regions across Asia Pacific (specifically in Singapore, India and South East Asia). They also operate a seed fund and incubator in Singapore and India, which is in sync with the concept of angel investments. Founded in 2011, Golden Gate Ventures invests in early stage companies predominantly in the Southeast Asia. Till now they have invested in more than 25 companies present in more than 7 Asian countries. This VC firm has built strong bond with Valley and currently playing a major role in establishing Singapore as Asia’s hub of technology and innovation. Q. What are the hurdles for Singapore to produce a disruptive billion-dollar company? Can such a company emerge in the next 5 years? Well Grab is apparently a $1.5b company already so for sure it can happen. The barrier is probably in our heads rather than in anything more material. I wonder if the billion dollar opportunities for Singapore are to build businesses that are about business model innovation, making products and services available to the 600 million people in South East Asia, rather than technology innovations. I sat next to an Indian guy on a panel at a conference a few months back. He said – you know there are 500 million Indians who just need a toilet. They don’t disruptive toilet technology, they just need a toilet. I am not suggesting that sanitary-ware is the next frontier for unicorns but I guess his comment makes the point. If its for global markets – need more future tech entrepreneurs who can play at the big leagues. If its for SE Asia – its timing. The timing will be there in 5-10 years. SEA is like China in 2003. Talent is the biggest bottle neck in the region. Getting execution right is a real challenge, and therefore working with the right partners is critical. With smart capital, the right support framework, and a regional business model, it is possible to create billion-dollar company in Singapore. Q. Which emerging trend excites you most in 2016, particularly in Southeast Asia? The rise of the middle class and the opportunities to re-invent the basic infrastructure of an advanced society for the developing population in our region. For example: unbundling healthcare. Anything consumer facing and addressing a real local problem, solving it in a local way. Robotics is exciting, the Sharing Economy is also something to watch out for. Q. What’s your opinion on crazy valuations of some of the startups in recent times? What’s the effect on Singapore based startups? It feels like we have seen a necessary correction in the US that may still have some way to shake out. Singapore entrepreneurs might wish to re-calibrate their expectations if they want to get funded or to avoid future down rounds. US valuations do affect SEA valuation a little, especially Indonesia but it has started to cool off since Jan 2016. We expect the hype to cool down and markets to rationalize over the next 6 to 12 months. We would like large winner-takes-all funding to stop, however it may not. Q. Where do you see Singapore in the startup space when we compare with Valley, Tel Aviv and London? I think it has a great future ahead of it that will be different to all those places because the culture and ecosystem of this part of the world are very different. It will stand its ground but it is too early to tell for now. Right now it seems to be a great hub to address SE Asia. We believe things are evolving in the right direction to make Singapore a real startup hub, and the support from government initiatives has been tremendous. Q. As per a report published by e27, Singapore has seen 25 exits since 2013 and 9 exits in 2006 – 2012. Over the next 3 years, how do you think the M&A scenario will take shape? I guess it all depends on the macroeconomic situation. A real, rather than imagined, downturn could just kill risk-taking for a while. Assuming that doesn’t happen I think it’s helpful to think of M&A being something that happens at the top of a staircase where startups have to hop up the stairs to become M&A candidates, getting funding rounds and passing milestones along the way. So it makes sense to think of the whole system generating deal-flow on a continuous basis. Looking at the bottom steps on the staircase, right now some fear has hit angel investors, for whom investment is always discretionary, so they are sticking their money into gold not startups. The fact that founders’ expectations of valuation is overcooked is also a factor IMHO. So that means that there may be a dearth of strong businesses to make it through to Series A and beyond, a bit further up the staircase, limiting the M&A opportunities a few years’ down the line. In the meantime there are a few candidates for M&A still making their way towards the acquisition stage, not least some of JFDI’s strongest alumni, so I think we will still see M&A happening so long as the economy doesn’t fall off a cliff. If the overall economy and markets are strong, there will be more acquisitions. Lots of startups are creating value as we speak but it does takes time to fully scale out. We expect to see a high level of interest from Chinese companies, in fact it has already started. Following was asked only to Hugh Mason. Q. How has been your experience while running JFDI Discover? What’s the success rate of teams taking part in this, in terms of launching prototype or raising fund? All in 21 days without having to give up your day job. Only then, if they want to, would making a prototype be a next step with fundraising still a long way off. By and large the roughly 900-1000 entrepreneurs who have been through it say that they have found it very useful. Many weren’t doing it with the intention of starting a business – they just want to find out what entrepreneurship is like – just as some people go along to a basic drawing course even if they don’t intend to become full time artists. That said of course some have gone on to raise funding – for example QLC and Greyloft, both of which went on from JFDI Discover to JFDI Accelerate, or teams that raised money independently, like Teach!Me. Following was asked only to Jeffrey Paine. Q. Golden Gate Ventures started operating in 2011 and by the end of 2015, the total number of investments has crossed 30. How many deals one expect in 2016? Will you look at regions other than Singapore in the SEA? A. We included Hong Kong and Taiwan in our strategy for fund 2 and will continue to invest in 2016. Following was asked only to Menka Sajnani. Q. How many investments can someone expect from Jungle Ventures in 2016? A. We would prefer not to disclose this. However, we expect to have an active 2 years in terms of deal-making. Note: TeamWave is an integrated and free software suite for startups. Apps include CRM, Project Management, HRMS and Contact Management. There is more to come!